For the past 11 years, 6 months, and 10 days of parenthood, Andrew and I have held an ongoing (joking) wager about which child will be the first one to break an arm/leg. When Rachel (who happens to be 11 years, 6 months, and 10 days old today) was a toddler and was climbing all over the place as if she wasn't afraid of gravity one little bit, we were certain she was going to break a limb. 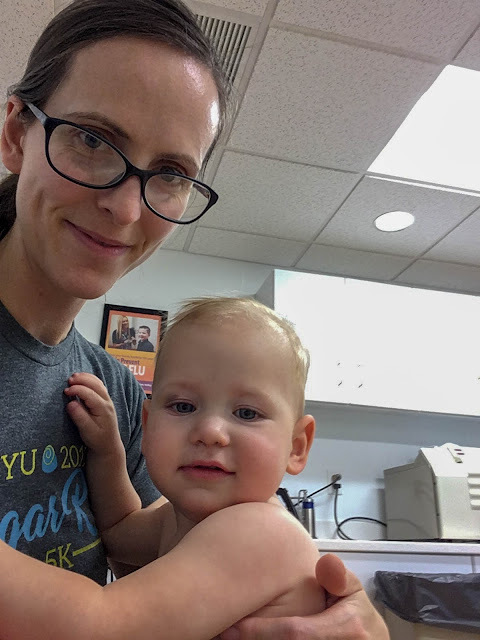 When Miriam was learning to ride her bike and seemed to be magnetically drawn to any and every potential obstacle (and crashed around twelve thousand times), we thought for sure she'd be the first one to break a bone. Benjamin still has very high odds of breaking an arm, in my opinion. But whenever he, you know, "be's Benjamin," as Zoë would say, he has always emerged from whatever Benjamin-ism unscathed. We're constantly checking him for broken bones. When Zoë, who was barely walking, fell in love with jumping off the couch we thought for sure she was going to be the one. Just the other day we were heading down to the basement and Andrew offered to carry Zoë the rest of the way down the stairs. Instead of saying, "Why, yes, father. Thank you for offering," she literally just flung her tiny body down the staircase in his general direction, a crazy trust exercise of sorts. How has she not broken a bone?! And then our little climber! Alexander can't walk (well) but he climbs, you know, anything and everything. The other day I learned that he can climb onto Zoë's high chair and from there he can get onto the kitchen counter. He has fallen off the table upstairs, multiple times (most recently giving himself a black eye). He seems to have a goal to climb over the back of the couch (which is an awful goal—Grandpa once caught him just n the nick of time, and Alexander twirled about, suspended in the air by his ankle, his head inches from the tile floor, wondering why Grandpa stopped him). I am constantly running to get him down from places and/or scooping him up off the floor as he howls, "OW! OW! OW!" But he's only been alive for fifteen months. 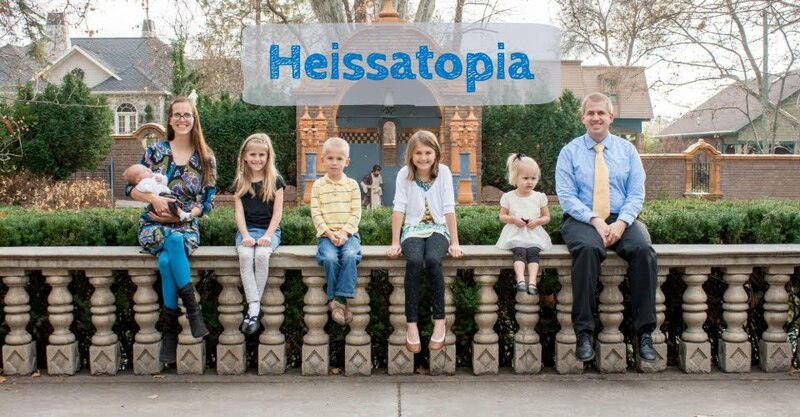 Sure, he's a bit of a daredevil, I thought, but surely he's as invincible as the other children! Zoë, Alexander, and I were playing in Alexander's bedroom. Alexander took off crawling to get some place and just...biffed it. It happened rather quickly so I'm not sure precisely what happened. I'm 95% sure he knelt on a toy truck but he also had his hands on the mobile from his crib (because obviously that's something that should be on the floor). Anyway, he tripped on the truck and/or the mobile and went sprawling and was completely inconsolable. I held him, I rocked him, I offered him milk. Nothing could make him stop screaming, but slowly, slowly he managed to regain his composure and decided he wanted to get off my lap. He climbed down, set off to crawl, and landed flat on his face. I took off his clothes to look for obvious injuries. His knee was a little red where he'd knelt on the truck, but other than that I couldn't see anything wrong with him. I stood him up to see if he'd put weight on his legs and he would. Nothing seemed to be wrong with his arms, but he was behaving rather unusually so something was clearly wrong. 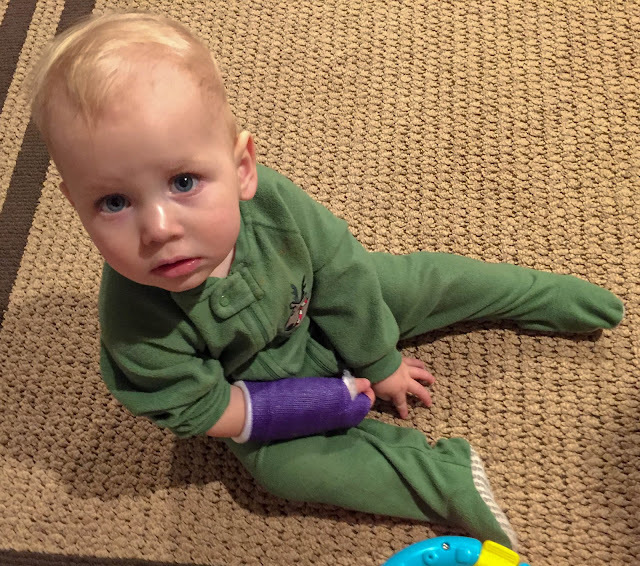 I put him on the floor to see what he'd do if I asked him to crawl—and I filmed it, not to be mean, but so that I could review what he did without making him do it again, you know? Like an instant replay. So I took my crying baby downstairs to consult with the resident dislocated-arm specialist: Grandpa. If I'm not mistaken, he gave Emily nurse's elbow when she was a baby. There is also a story about him double-bouncing Katharine on the trampoline and breaking her arm (and whenever anyone asked her about it she'd answer sweetly, "My dad broke it!" and he'd be like, "She landed wrong on the trampoline!"). He looked Alexander over and agreed that something was amiss. It was weird, though, because Alexander would move his arm—he would bend and straighten it and point with it and push Zoë away with it (though after doing anything he'd act like using his sore arm had been a terrible idea)—but it was obvious he couldn't put any weight on it. This was very frustrating for Alexander because he quite enjoys his mobility but without two working arms he was rendered immobile. He can't walk (or won't walk) and now he couldn't even crawl! "Not having a very good day today," the doctor said, sympathetically. "This is about his arm?" "And it looks like he got a black eye, too!" "Well, yes, but that's not from today. That's from earlier this week. Also, they [indicating both Alexander and Zoë, who'd tagged along with us] are just getting over croup." "I noticed the runny noses." "Yeah, basically nothing is going our way lately. But I'm just here about his arm today." "Fair enough. Do you want to tell me what's going on?" Aren't we a pretty picture of health? So I told the doctor what happened and showed him the video of Alexander trying to use his arm. The doctor examined him and while Alexander screamed whenever the doctor touched him anywhere, he screamed most lustily when the doctor was fiddling with his right arm. "So this is the arm you're worried about," the doctor said. "It is," I said. "But it's weird because he still uses it. He just can't put any weight on it." 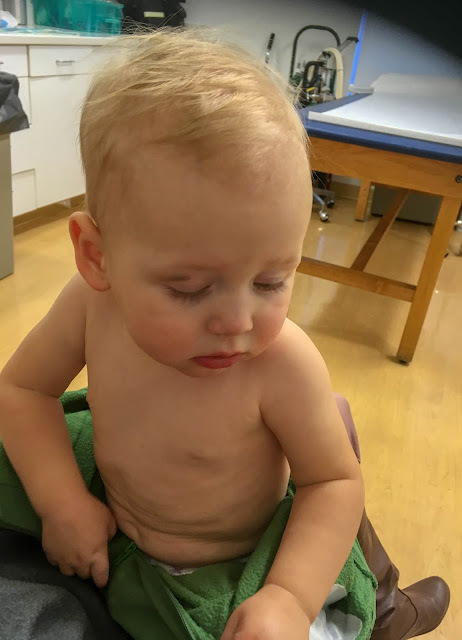 The doctor ordered some x-rays but warned that a break might not show up if it was small, but that he'd probably immobilize the arm, anyway, since clearly it was causing Alexander distress. After he stopped screaming about everything he kept putting his arm into my hand and fussing about it (finally trying to communicate to me that this is what hurts). So, we got the x-rays, which was a traumatic ordeal involving lots of screaming and a little bit of wrestling, and then waited for them to be developed. After a few minutes the doctor knocked on the door and said cheerfully, "Well, we've got the results. Why don't you come on down and I'll show you the x-rays and we can decide what to do from there." We walked into the x-ray room and I just about died when I saw the screen because it looks like something is seriously wrong with Alexander's elbow! But his elbow, it turns out, is just fine. And obviously I'm no radiologist. "That's definitely going to cause him some discomfort," the doctor said. "So we'll need to splint it somehow. I think I have a removable brace in his size, but we should probably also consider a hard cast." I asked him which would be better for a should-be toddler who refuses to toddle and instead uses crawling to get everywhere. "In that situation, I'd probably recommend the hard cast, unfortunately." So a hard cast it was, and when they'd finished putting it on him, Alexander clawed at it angrily and the student doctor said, "Yikes. He'd have a brace off in no time! This was probably a wise move!" When he realized he couldn't take it off, he pouted mightily, sticking his little lip out as far as he could, and made me hold his arm again. It was very pathetic. So now my sweet boy is rocking a bright purple cast, Zoë's choice. The nurse really wasn't sure that purple would be a good colour (they also had green and blue...) but I assured her that purple was fine and that Alexander didn't have a preference. "Also, purple is my...I mean his...favourite colour!" Zoë chimed in. I put a plastic bag over his cast after I took this picture (we're hoping to avoid getting his cast too nasty too quickly). He was a champ at Young Women's, figuring out how to crawl around on the fist of his casted arm, like a little baby gorilla. 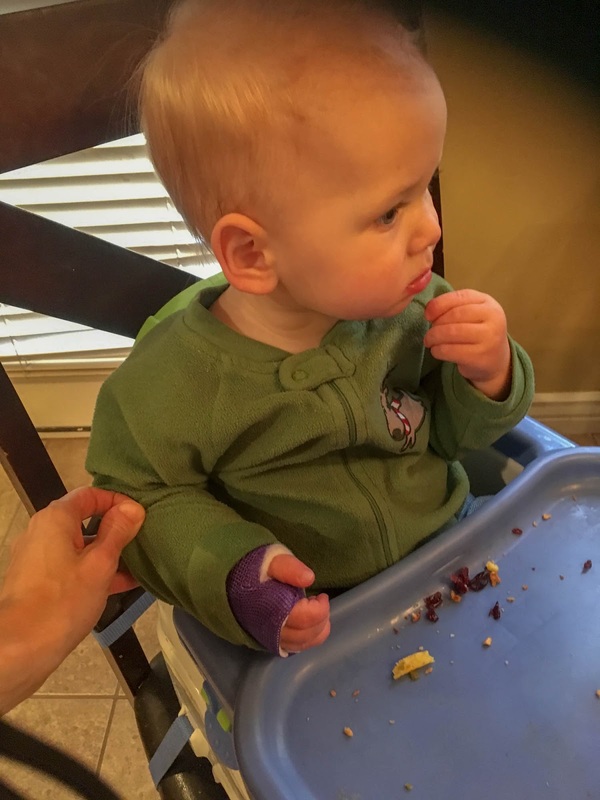 We learned that his cast does not prevent him from climbing onto chairs, but that it is awfully fun to bang his cast on the metal folding chairs (such a pleasant noise)! I'm still a little shocked that he broke his arm...from crawling...but...there you go. That's the story. Benjamin cried in his bed for over an hour after I put him to bed. His arm hurt, he claimed. He must have broken it. He needed to go to the hospital. "I did!" he whined. "It's broken. I know it! It hurts so bad! I need a cast, too!" 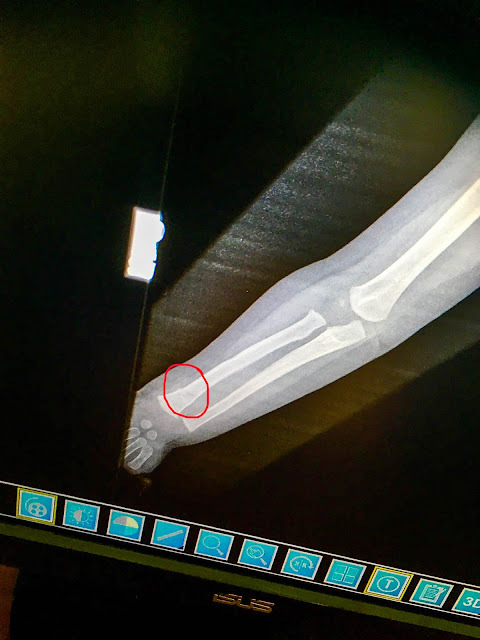 "Your arm is absolutely not broken," I told him. "You need to stop fussing and go to sleep!" I'll feel awful if it turns out he really does have a broken bone, but that would just be too coincidental. Besides, he fell asleep so his arm couldn't have been hurting that badly (because it's not broken). Three to four weeks in this cast. We can do this. Sympathy pains, that's what Benjamin has! I am sorry this happened, and hope that Alexander decides to use his legs a bit more while his arm is healing.